From time to time a dog comes our way that needs a lot of help. Of course the Vets have treated them and done all they could do. Most of the time the owners are not ready to give up. The challenge then comes our way. 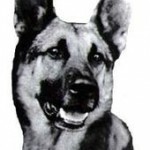 This is a story about a great German Shepard. For what ever reason, he could not control his back end and could not walk. It was pitiful, his owner loved him so, and was not ready to let go. He came to meet me on a cool Sunday afternoon. He was very touchy and not happy to see me, so I took it slow with him and I could tell he was in horrible pain all over his body. You say, how did I know this? It’s a gift I was given years ago. I worked over his body with my hands and did not touch him. You see it is possible to touch a person without physically touching them. All living beings have an energy level above their bodies and if you go quietly you can feel this energy. So, that is what I worked on to sooth his pain. I quieted myself and closed my eyes. The Shepard showed me a picture of a pond with a lot of grass around it with a red ball in his mouth. The Shepard was as happy as ever and I knew from that moment, that was what he wanted to do for his human one more time before he left this earthly place. I told his human what I had seen and he started to cry. The man told me that is what they did every day in the summer before his friend had taken sick. I told his human I would work with his Shepard as much as he would allow me and try to get him to that place. That Sunday after about 45 minutes of Reiki and T-Touch the Shepard walked half way out too the car. His human carried him the rest of the way. The Shepard and human came to The Healing Barn every Sunday for about 2 months. Progress was slow, but each week I saw changes for the good. On the last visit the human said to me, “you won’t believe what happened last weekend when we left.” I asked,”what happened?” He responded by telling me they played ball in the pond for one hour until the Shepard was tired. The human was so excited. That Sunday I worked on the Shepard like I had done each week, and this time he walked all the way to the car by himself. He climbed into the car with little help and barked as they drove off. 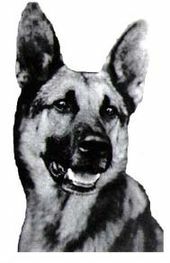 One week later I received a call from the human, he told me the beautiful Shepard had passed away in his sleep that week. The human was very sad, but knew his Shepard had done this for him and he understood how much they meant to each other. This is a very sad story, but it is a lesson in how love can conquer the bad, and although the Shepard passed away any way, they were able to heal while they were together. About 2 months later the human called and said we just got a new Shepard and he looks like our old friend, the Shepard loves his red ball. To all who have loved and lost a special 4 legged friend, know this: The four legged friends stay with us and after passing, return to be by your side.